EDMONTON, AB – Edmonton-based contract brewing operation Elbeck Brews has announced details of its next release. Back in my garage on Elbeck Street in Houston, Texas, a honey porter was the first dark beer I ever brewed. The decision followed a suggestion by a friend that I not be afraid of the “dark side”. The result was a delicious beer made rich and smooth by the honey. Over the years, I’ve tweaked the recipe and now make it with a little chocolate rye malt and a lot of local Alberta honey from GrammaBee’s Honey. The result is a humble, medium-bodied dark beer with hints of sweet honey flavour mixed with dark chocolate. 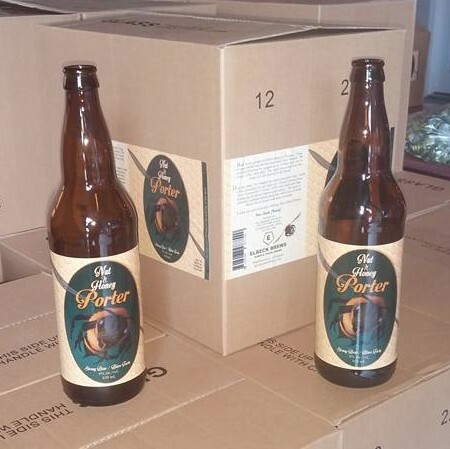 Nut ‘n Honey Porter was packaged this past weekend at the Two Sergeants Brewing facility in Fort Saskatchewan where Sample is currently brewing his Elbeck beers. It will be available soon in 650 ml bottles and on draught throughout Alberta.